At True & Dorin, the premier New York hair loss clinic, we believe that no man or woman should have to live with the effects of baldness. We likewise believe that no one should have to settle for less than the best when it comes to hair restoration. In this case, the best means your own healthy hair, artfully arranged on your scalp so that it looks completely natural. We’ve all seen what second-rate hair transplants look like. There is nothing more awkward than encountering someone with unnatural clumps of hair separated by patches of skin. This doll’s head look is entirely avoidable when hair transplantation is performed correctly, using the most current and effective methods. At True & Dorin in New York, follicular unit transplantation is, along with follicular unit extraction (FUE), our hair transplant method of choice. This is because follicular unit transplantation and follicular unit extraction are the gold standards for hair restoration. These methods allow our hair surgeons to produce consistently excellent, natural-looking results for our valued patients. Would you be more inclined to undergo hair transplantation if you knew going in that you would achieve natural-looking results? That you would not have to worry about the embarrassment and self-consciousness associated with inferior hair transplantation? At True & Dorin, our experienced, talented surgeons have mastered the follicular unit transplantation and follicular unit extraction procedures. At our hair restoration center in New York, hair transplant results are predictable - predictably excellent. Follicular unit transplantation entails the removal of a thin strip of skin from a donor site elsewhere on your head. Individual grafts are then created from the follicular units (generally comprised of one to four hairs each) present in the donor strip. This strip is generally so small that the scar in the donor site will be difficult to impossible to detect. 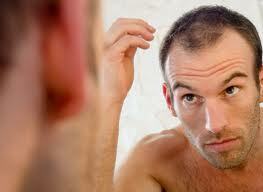 The follicular unit transplantation procedure does require sutures; these are removed after 10 days. Follicular unit extraction involves the surgical removal of individual follicular units. These units are then transplanted to balding areas. Unlike follicular unit transplantation, follicular unit extraction at our New York hair loss clinic is considered a minimally invasive procedure. It does result in some scarring; however, these pinpoint scars are extremely difficult to see, and often imperceptible, even with the head shaved. Both follicular unit transplantation and follicular unit extraction offer unique advantages. The right procedure for you depends on your goals and expectations. If you are interesting in learning more about the results you can achieve with follicular unit transplantation or follicular unit extraction, we encourage you to contact our hair restoration practice in New York today.